The best of many worlds! Cheap, easy, refillable, buy refills at your local warehouse store by the bundle to save even more money! 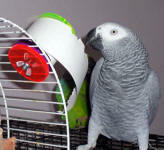 Our parrots have a really good time shredding, tearing, pulling and playing with the adding machine paper, so will yours! 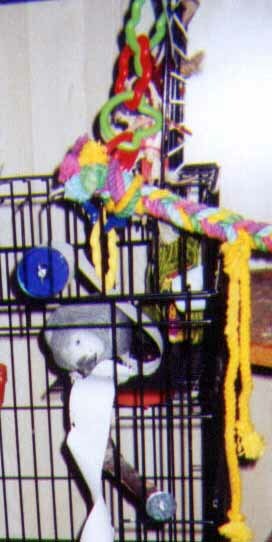 (This is one of CAG, Gandy's favorite toys!) Comes with one roll and refills are available! 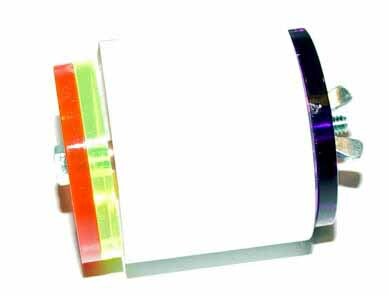 (To check out hideaway toys, click here!) 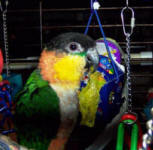 Georgie Hebrew, the black headed caique, stopped investigating his Hanukkah Fiesta Box long enough to pose for this photo before moving onto other activities and has a much enjoyed adding machine paper toy in the background! Add an ear of corn to add some variety to this "refillable" toy!